Manages all putaway, picking and stock checking with extensive reporting. Allows you to easily select a specific location, pallet or case. Ranger provides a handheld and truck mounted mobile solution. Pay monthly, start when you want, stop when you want. Select the type of product selection to suite your operation - BBE/FIFO/LIFO or by product rotation number. Stocker knows exactly which locations are available and which are occupied. It knows exactly where you prefer to store individual products. It immediately knows when a preferred location becomes available and will automatically reuse it. With accurate and reliable reporting of your inventory you should be able to reduce your stocking levels. Stocker reduces the risk of product becoming lost. It helps ensure products are shipped within any best before end date. Check individual products, product ranges, or check warehouse locations, without closing down the warehouse. Perpetual inventory secures continuous verification of fast moving product within picking locations. Movement histories provide full traceability of all stock movements, from receipt through despatch. Through more rigorous control, human error is minimized and high integrity maintained. Have confidence in your inventory. Warehouse management software enforces discipline and reduces the risks of errors. There is less opportunity for warehouse operatives to misplace product or select the wrong product. Work in a flexible environment. You can leave Stocker make all the decisions, or you can easily take over make the decisions yourself. These simple benefits will give you confidence in managing your warehouse and help provide real improvements in the service you provide. "We have been using Stocker for two years now and have always been very impressed but with each upgrade it gets better and better. We are of the opinion that Stocker is a great stock control package at a very reasonable price. Most of our customers carry out a annual audit of our facilities which includes the stock control - all have been very impressed with the easy to read and understand screens and wealth of information the system generates." 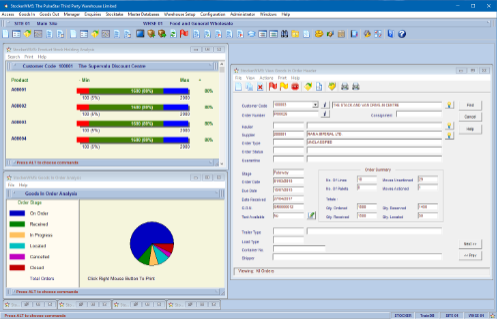 "We would have no hesitation in recommending this stock control software." The big word here is time. As Ranger sends instructions directly to hand held and truck mounted terminals, eliminating the need for printed stationary. A paper driven system wastes precious time with operatives visiting the office collecting and returning printed lists. There's more time lost when Stocker is manually updated from those lists. With Ranger, time consuming pauses in work flow are done away with. Operatives receive their instruction directly on mobile devices and Stocker is instantly updated from those devices. Note, long term, there's also cost savings with the need for fewer printers, less paper and ink, and further time savings maintaining these printers. Mobile devices, with integrated bar code reading technology, provide a far more robust solution over printed paper. All actions can be validated instantly on the terminal.The correct product is selected, the correct location is chosen, the required quantity is picked can all be immediately checked in situ. The chance of operator error is greatly reduced. This improved accuracy gives you greater confidence in your inventory. 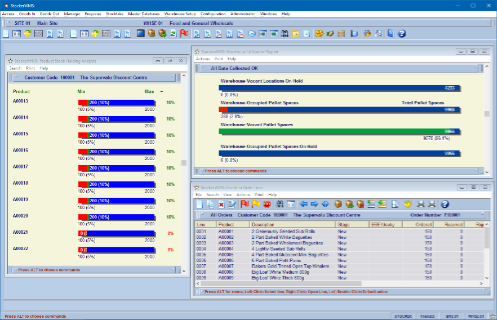 With Stocker updated the instant a task is actioned you have an immediate and accurate real-time view of your stock levels. This gives you improved confidence in your inventory reports and allows you to make decisions based on reliable information. 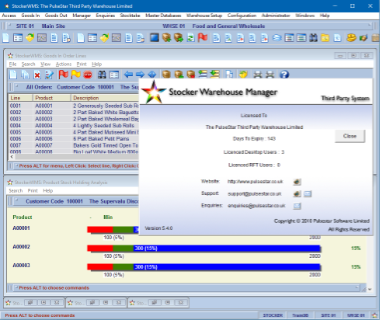 An overview of Stocker's functionality. 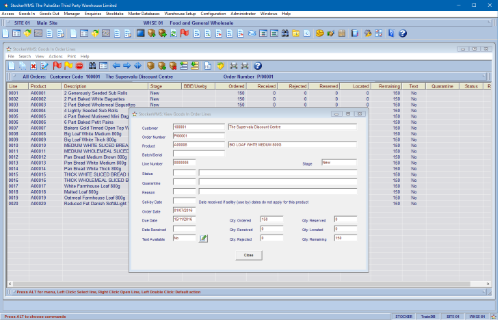 An overview of Stocker's comprehensive functionality. Get started today with your free 30 day trial. Stocker's mobile solution can help you. Read how Stocker's mobile solution can help you. Get in touch today by web, email or phone. Get in touch today by web form, email or phone. Get in touch by web form, email or phone.